We are continuously in awe of the beautiful, unique and bespoke work wedding and event professionals craft. Every last detail curates a specific expression, theme or concept. 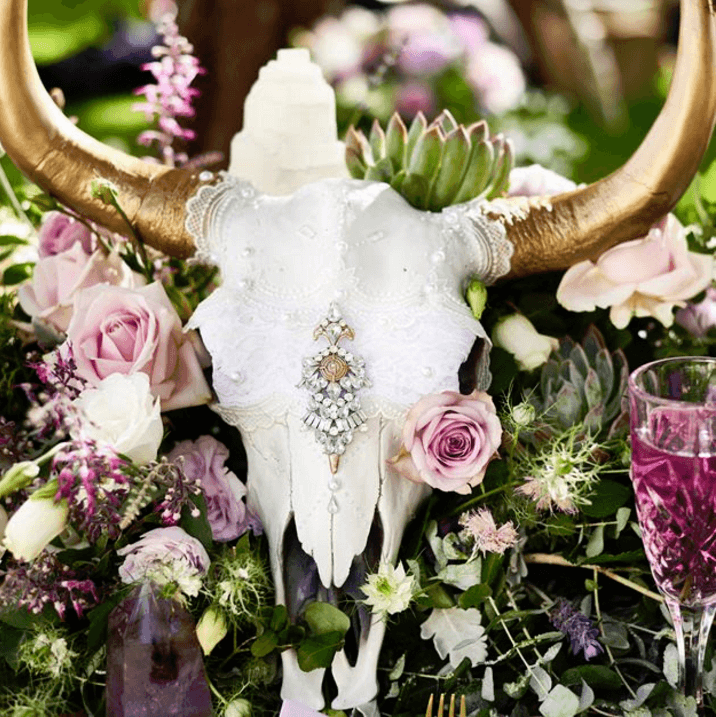 We’re thrilled to share this stunning Bohemian Luxe, lavender wedding inspiration shoot with you! 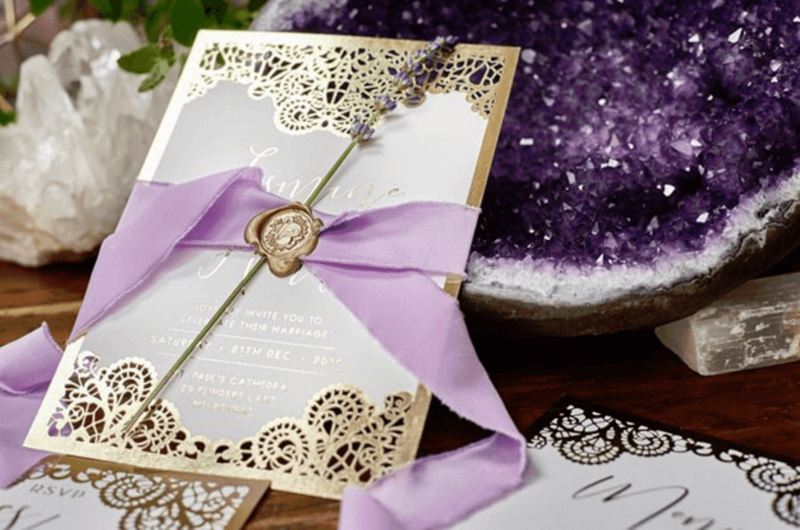 “Fueled by the desire to create a theme and look that hasn’t been seen yet, styling team at Adorn Wedding Invitations combined Moroccan and Bohemian influences with whimsical, elegant undertones. 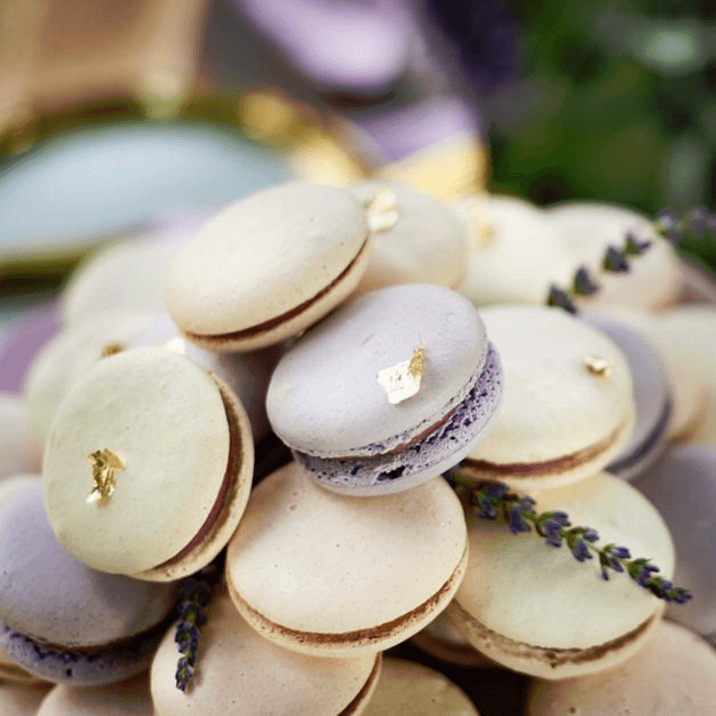 Captured in a charming countryside lavender field – the result is something truly magical. 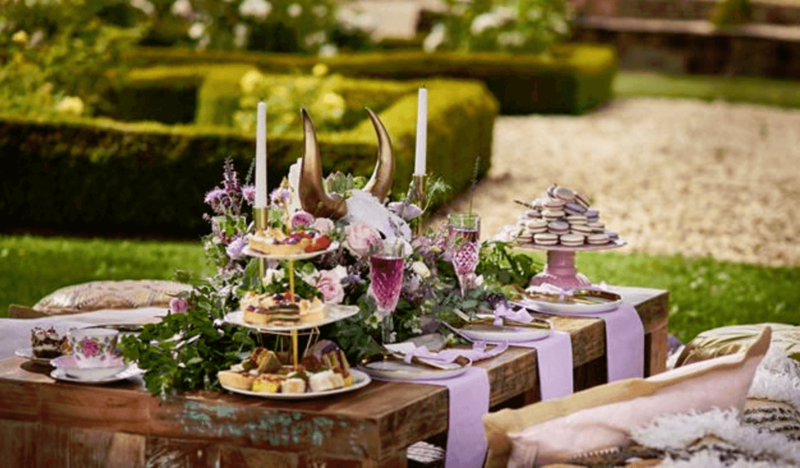 Shimmering semi-precious stones and amethyst crystals scattered throughout a tablescape that is bursting with lush greenery and wild flowers. 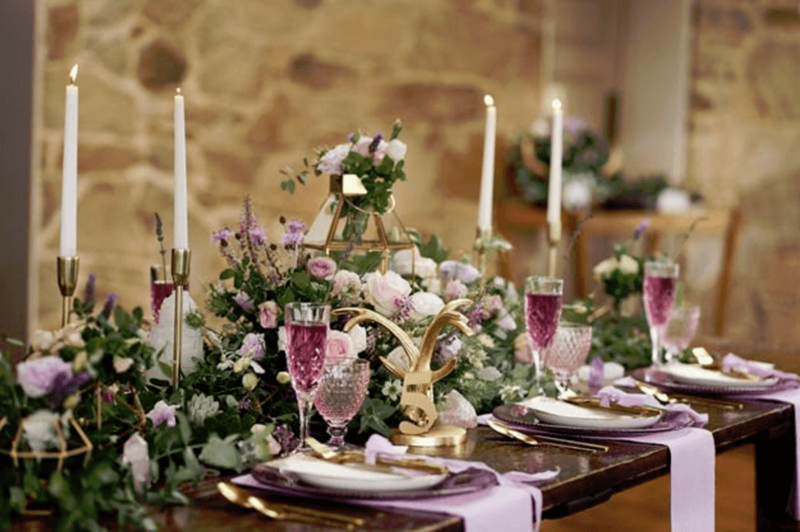 Bohemian décor elements combine with sleek gold lines and a romantic colour palette of lilac to create a style that can appeal to absolutely any bride. Submit your work for a chance to be featured.